The Shadwell Community Project was established to support the needs of all Children/Young People especially those who experience disadvantage and poverty . 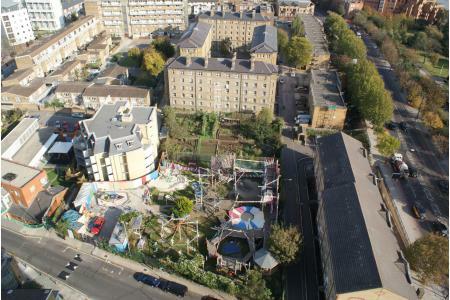 To help Children and Young People develop physically, emotionally and socially, through our outreach and inclusion work and our award winning Glamis Adventure Playground in the heart of the Shadwell. 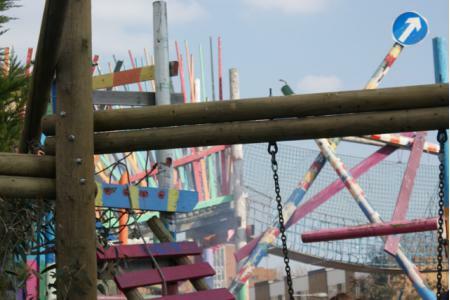 The adventure playground caters for the play needs of children and young people aged 6 to 16 years, providing a free 'open access' service. Providing a 'green' playspace in a highly densely populated where most children don't have a garden or playspace. It is a place where children of all cultures, religions etc can meet, socialise and play, with the support of understanding and professionally trained playworkers. Over 60% of children in Shadwell live in relative poverty, and many in overcrowded housing. We aim to help mitigate the disadvantage encountered by Children and Young People, in the highly urbanised environment of Shadwell. Part time volunteers with arts, crafts, drama, music skills. Gardeners to help develop our food growing programme. Bike enthusiasts to help children with bike repairs. Fundraisers and community organisers urgently needed. will pay for a playworker for two hours. this will pay for playscheme activities for a week.